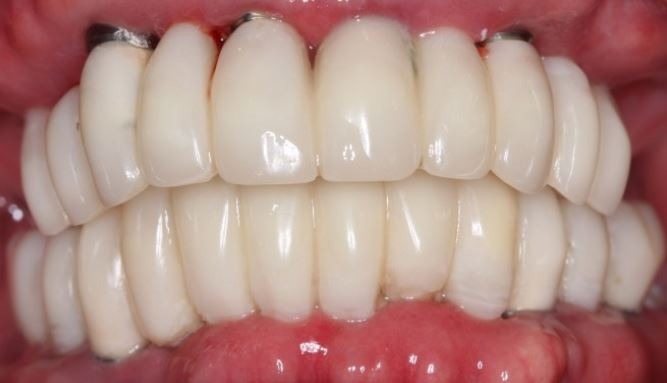 What can implant dentistry offer me? What are the different implant dentistry porcedures? Implant dentistry in San Clemente, Orange County. With advancements in technology, placing dental implants has become simpler and more affordable than ever. Implant dentistry is the art and skill of replacing missing and severely damaged teeth with dental implants. Dental implant technology allows your dentist to replace missing teeth in areas where previously there was no other options. Patients are finding themselves getting more and more dental implants instead of dentures or bridges. Nowadays, implant dentistry has become an integral and essential part of every dental practice. With advancements in technology, placing dental implants has become simpler and more affordable than ever. Implant dentistry has opened up a new gateway into how dentists are fixing and replacing missing teeth. Many times your dental implants can be placed in a single day, often times at the same time as pulling bad teeth. Additionally, dental implants can be placed in areas which used to be unimaginable before. So before you convince yourself that dental implants aren’t for you, give a call to schedule your implant consultation. What are the different implant dentistry procedures? Whether you’re missing one tooth or all of your teeth, implant dentistry can help fix your smile! The newer generation of dental implants are very stable and well designed. This means that oftentimes your dentist can place the dental implant at the same time as removing your infected teeth, a process known as immediate placement. Other times, your dentist might be able to place the implant post and add the crown at the same time, known as teeth-in-a-day. There is so much that implant dentistry can offer that you may not even be aware of. Of course each case is different and so talk to your dentist to see what is going to work best for you. Nowadays, just about everyone is a good candidate for implant dentistry. In the past, you may have heard things like “you don’t have enough bone for implants” or “your sinuses are too low to place implants“. 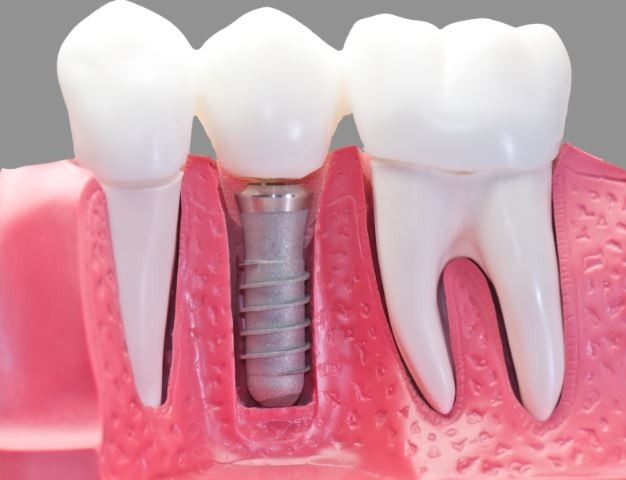 With advanced bone augmentation techniques, implant dentists can restore your bone to its original form and place implants in them. Consequently, just about everyone is a good candidate for implant dentistry with newer bone augmentation techniques. Implant denture hybrids are a great option for those who want to improve their denture fit without spending a fortune. By placing as little as two to four dental implants you can anchor your dentures in place for a much improved fit. 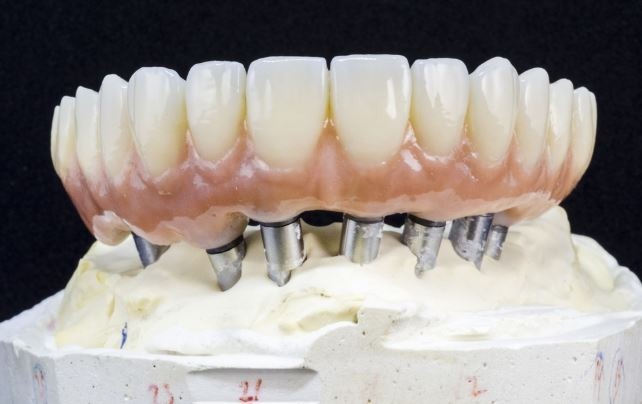 Your denture will now attach to these implants which makes them much more stable and functional. This results in improved chewing, better speech, less sore lesions and the ability to wear smaller dentures. The two options to replacing all of your teeth are all-on-four teeth and the other is full mouth dental implants. These are two common treatment options to replace all of your missing teeth with fixed teeth. 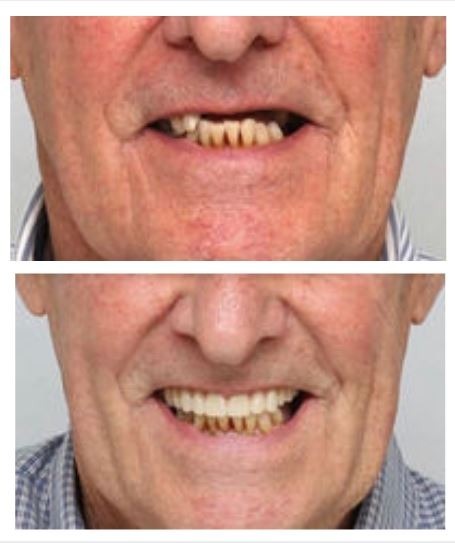 One is all-on-four teeth and the other is full mouth dental implants. Your dentist can place as little as four dental implants to secure a set of fixed porcelain or zirconia teeth. This is known as all-on-four implants which replaces all of your teeth in one arch with fixed, permanent teeth. Full mouth dental implants uses around 8 to 10 implants to replace every tooth with either a crown or bridge. Both these options offer you permanent, fixed teeth which look and feel like your natural teeth. You can start smiling and chewing again as if you’d never lost your teeth in the first place. we have the technology and expertise to help you replace those missing teeth. We are proud to say that we’re one of Orange County’s most trusted choices for implant dentistry. 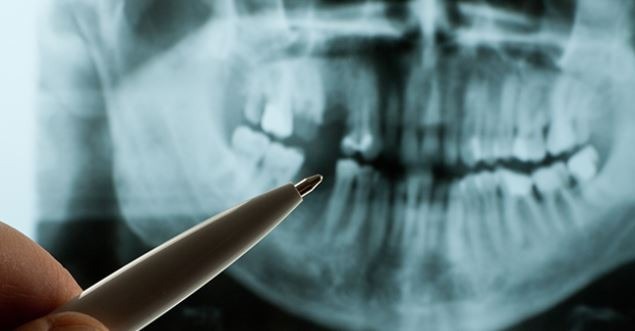 This is because we have the technology and expertise to help you replace those missing teeth. Our dentist, Dr. Jazayeri, is an expert in placing and restoring dental implants. He is trained to place dental implants in places where other dentists might be hesitant or unsure of what to do. Plus, we are very competitively priced and also offer affordable monthly financing terms. During your implant consultation we will present all of your treatment options. We will go over everything so that you understand what options are available and what is best for your needs. With advancements in technology almost anyone is a good candidate for dental implants nowadays.